Devops provides a new operating model for IT department to accelerate software speed. Our DevOps solution enables tactical innovation which brings competitive benefits. Well versed with various Configuration Management tools including Git, SVN, Clearcase. Holistic experience of end to end performance engineering – covering Infrastructure, Network, Web servers, Application Servers, Database. Adept with Industry standard tools to writing custom scripts to make sure smooth bug-free deployment of any application code. 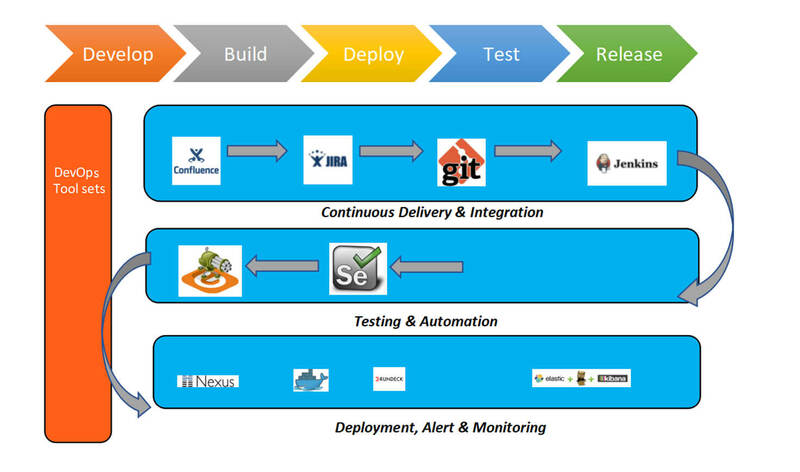 Our DevOps leverages Monitoring, Tool-chain Pipelines, and Cloud adoption. We ensure rapid on-boarding of applications by automating complete integration and development across leading cloud platforms through our latest tools that we use. It is imperative to continuously keep improving the efficiency and productivity of our existing systems. talk to our experienced DevOps teams offering reliable DevOps Automation tools to automatise the different facets of software development, testing services, server infrastructure and related operations.